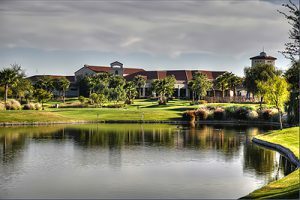 un City Shadow Hills (SCSH) is a premiere 55+ guard-gated active-adult development located in beautiful Southern California. This picture-perfect development is situated about three kilometers Southeast of the original Sun City Palm Desert in the North Indio. The community is separated into three phases with a total of approx. 3,500 homes. Sun City Shadow Hills known for superior build quality and social oriented lifestyle inherent with a Del Webb development. Living is this community means a lifestyle filled with activities, friends and family. There is a 24/7 private security, securing the well-being of all residents and staff in the development. The low $255.00 monthly HOA fee covers maintenance of the surroundings and facilities and a 24/7 security. Since all new development of homes was completed in 2016 the only way to purchase a home in this planned neighborhood is to purchase directly from individual homeowner. Home prices in SCSH start at $210,000 and can reach prices as high as $775,000. based on size, layouts, location and upgrades by the former occupants. There are about thirty single-level family floors plans to choose from in Sun City Shadow Hills. SCSH offer home buyers and renters a good selection of home sizes. Homes start at approximately 1,200 square feet and can be as large as 3,000 square feet living space in expanded homes. Often residents will upgrade their homes and buyers may find upgrades including; exterior stonework, home extensions, landscape design, countertops, patio covers, elevated ceilings, inlet windows, fireplaces and more. These custom upgrades give most homes a truly unique style and personality and affects the prices of the homes significantly. Built-in pools and spas also increase home values and can affect values as much as $50,000. Homes on one of the two golf courses also add to the value of a particular home and can add $20,000 to $40,000 to the market value. When home buyers look to purchase a home in the area it is important to consider these factors that affect home values when doing research on potential homes. For all interested buyers seeking a home in the Coachella Valley, Sun City Shadow Hills provides an outstanding opportunity to own an investment property, permanent home, or second home in a private, secure and truly pristine location within the Greater Palm Springs Area (Coachella Valley). If you are looking to buy a home in Sun City Palm Desert fill out the form click here to get in touch with a real estate professional today. At Sun City Shadow Hills, residents enjoy a lifestyle akin to being a homeowner an all-inclusive resort. The wonderful facilities of SCSH invariably make the community one of the most popular 55+ communities in the Desert area. Lifestyle at Sun City Shadow Hills offers a wide variety of social clubs and events all year long. The over 60 public clubs registered in Sun City Shadow Hills; travel club, art club, golf clubs, hiking and cycling club, book club, photography club, wine group, etc., makes it easy to make friends, take up a new interest or hone a craft. Daily residents make use of the recreational lifestyle of SCSH and the clubhouses are consistently a-buzz with social activities. Wherever your interest lies; golf, tennis, paddle tennis, bocce, fitness centers, swimming, much more, residents can find an activity for them. Most residents take advantage of the great dining opportunities available to within SCSH. Shadows restaurant and Santa Rosa Bistro are some of the homeowner’s favorites. 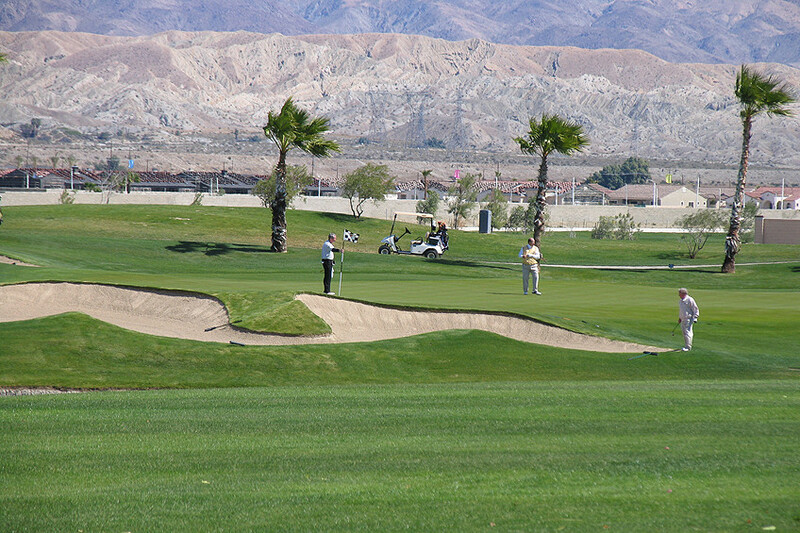 The Palm Springs Area and the Coachella Valley are recognized as one of the greatest golf destinations in the world. Sun City Shadow Hills make this reputation proud with an 18-hole course planned by Lee Schmidt and Brian Curley and a newer par three executive course. Both scratch golfers and beginners find these courses engaging and the courses add to the overall beauty of the community. Also, the community offers an 18-hole putting course for players to improve their short games and 2 driving ranges to brush up on the rest of your game. At SCSH golf is truly part of the lifestyle! People living within SCSH love the lifestyle and often invite friends and family to share in the joy and fun of this resort-like development. The location of Sun City Shadow Hills provides residents with shops and restaurants outside the community. Indio and the Coachella Valley offer world class entertainment scenes such as festivals, street fairs, and Casinos. The famous Village Fest in Palm Springs or the College of the Desert Street Fair, offer shopping, live music and family fun. With 2 casinos minutes away offer event more options for entertainment every week from top-rated singers and performers. There are also thrilling shopping outlets like El Paseo; that features diverse products. Similarly, the cities offer hundreds of restaurants that feature almost every type of food imaginable. To live in Sun City Shadow Hills is synonymous with living a rich lifestyle from both within and outside the comfort of the community.